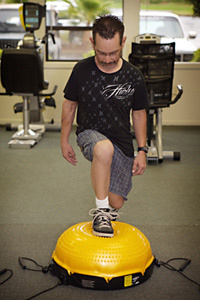 As part of a comprehensive program, Liberty Physical Therapy offers convenient physical therapy services in Northern California that are unique in the region. Liberty Physical Therapy in California is part of a well-rounded program that will help you feel better and recover from start to finish. Our Physical Therapy team is able to offer you exceptional care delivered by highly trained manual Physical Therapists who specialize in specific evaluation and treatment of orthopedic conditions across the lifespan. In addition to playing a key role in recovery after surgery, physical therapy can resolve many orthopedic problems and greatly reduce your troubling symptoms. The highly qualified staff at Liberty Physical Therapy will help you through your recovery every step of the way. Working closely with Shasta Orthopaedics physicians, the Physical Therapy team offers state-of-the-art care that is part of a comprehensive treatment plan designed to meet your individual needs. Liberty’s physical therapists focus on effective and practical solutions that will help you to function at your best as quickly as possible.